Crude oil and oil layers, like groundwater, is ejected upwards along the borehole once the holes are drilled, owing to the oppression of the oil itself by the huge energy of the reservoir (dissolved air, the top of the gas). According to this principle, the exploitation of crude oil in the oil field development is a primary oil recovery and this time the wells are from the well. Along with the continuous recovery of crude oil, the original energy of the reservoir gradually depleted, crude oil cannot be ejected. The recovery rate of a single oil recovery is generally only around 15%. It is called secondary oil recovery when the reservoir water or non-mixed gas to add oil layer energy to promote the oil to move to well, and thus further extraction of crude oil in the oil field could be developed. As the composition of the oil layer of rock particles size is not uniform, irregular shape, resulting in different layers of pore size, permeability heterogeneity. The greater the permeability of the oil layer of oil and water flow resistance is smaller, oil and water interface, the faster the rate of advance. In addition, the viscosity of water is smaller than that of crude oil, which means that the resistance of the oil layer to the crude oil is larger than that of the water. 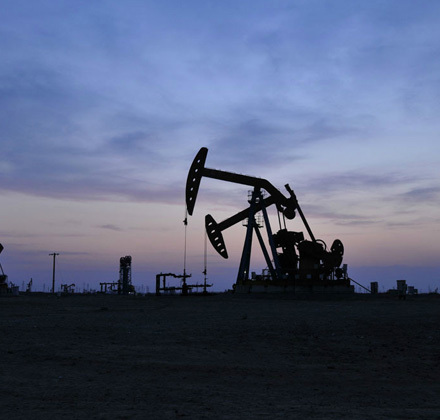 The migration rate of the water in the oil layer is larger than that of the crude oil, causing the oil and water interface in the oil layer to be the same as the finger Qi, in the oil field development referred to as the phenomenon. After a period of time, the phenomenon refers to the formation of some of the larger flow channel to form a continuous passage of water to the wells, oil wells rapidly rising. When the oil well reaches 95% -98%, the continued water injection will lose the value of economic exploitation. At the same time, the oil-water interface of the relatively low permeability reservoir is almost no advance. The secondary recovery rate of oil recovery is usually 30% -40%, so the secondary oil recovery after more than half of the crude oil to stay in the reservoir. To take physical, chemical, biological technology continues to crude oil production in the oil field development which is called Enhanced Oil Recovery (EOR). The addition of polyacrylamide to the water injection which could increase the viscosity of the water and improves the oil-to-water ratio (overcoming the finger). The injected solution has a high viscosity and has a higher residual resistance coefficient and a viscoelastic effect after passing through the reservoir. The higher the viscosity and the elasticity, the greater the coefficient of participation in the drag coefficient, the smaller the ratio of the displacement phase to the flooded phase, the greater the effect of the polymer flooding macroscopic and microscopic wave coefficient, The greater the range. For more detailed information, please contact sinofloc@marketing.com.